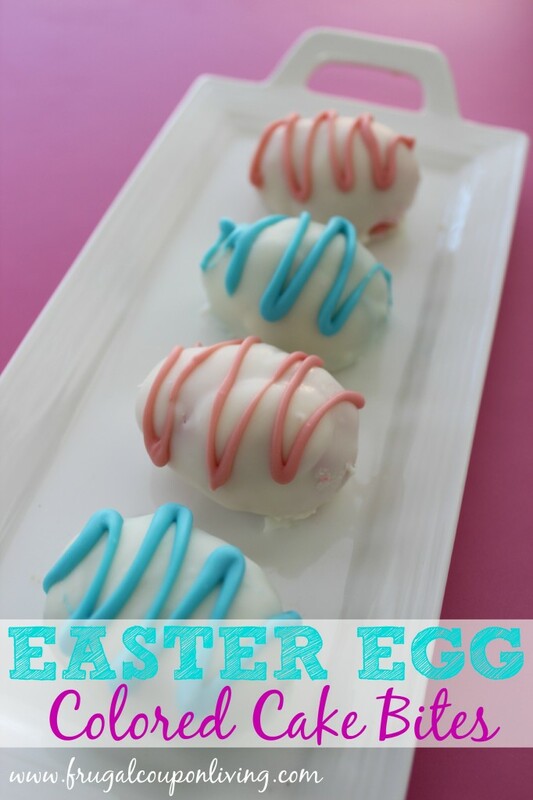 Ready for Easter and want to make a fun little treat – check out these homemade Easter Egg Cake Bites with a fun bright pink or blue center! 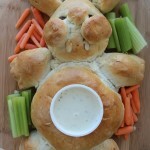 Simple tutorial for your little bunny! Prepare cake mix according to package directions except split in half and add different food cooing to each half. Bake as directed. Add marshmallow creme and mix until well blended. Roll and shape into egg sized portions and refrigerate for 2 hours. Melt white chocloate in microwave by heating tor 30 seconds then stirring and repeating until cany is smooth and completely melted. 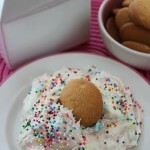 Dip cake bites using a fork to make sure they are completely coated. Tap fork against edge of dish to help remove excess. Place cake bites on wax paper and refrigerate to set. 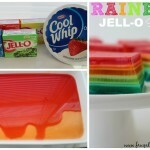 Separate remaining white chocolate and tint using food colors. Transfer to zippered sandwich bags and clip tip of corner to use for piping and drizzling on cake bites. How did you color the remaining white chocolate with that neon food coloring? Every time I have tried using those neon colors to color chocolate it just makes it stiffen and I can’t swirl the colors on the top. Love the egg shaped cakes! So festive for Easter. 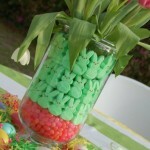 I’m pinning these to my Easter board. 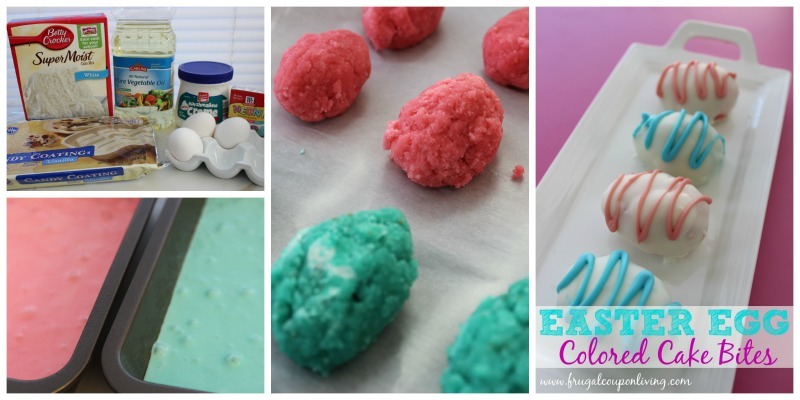 Your Easter Egg Cake Bites are just perfect for the season! Thank you so much for sharing with Full Plate Thursday today, it is great to have you at the party. Hope you have a very special week and come back soon! 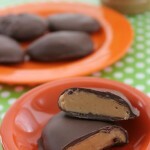 These are just too sweet and a perfect addition to an Easter goodies menu! Thanks for sharing and linking up with us over at Tell it To Me Tuesday! We hope to see you linking up more great posts with us next week! These sound great. Thanks for linking up for Friday Favorites. I’m featuring you this week.